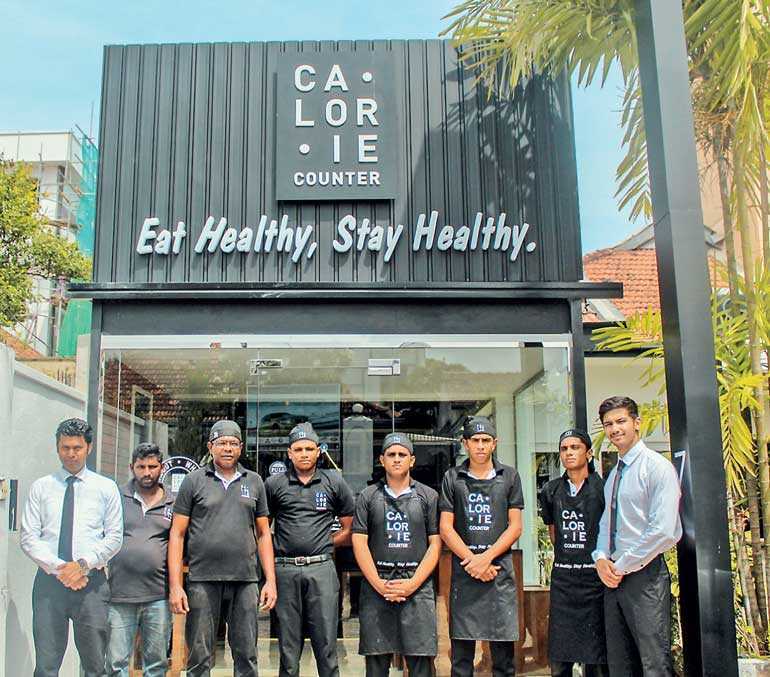 Sri Lanka’s premier health food restaurant chain Calorie Counter to its birthplace Havelock Town took place recently amidst a gathering of management, well-wishers, social media influencers, food bloggers and media personnel. The new outlet is situated at No. 7 Havelock Place, Colombo 5 and is conveniently accessible to the restaurant’s loyal patrons and health food enthusiasts. The new restaurant which seats 30, is cosy, comfortable and carries the signature Calorie Counter interiors and ambiance. Following suite like its other outlets the food served at the restaurant is prepared in state-of-the-art ovens from Germany ensuring that every meal is healthy, tasty and fulfilling. Calorie Counter will offer a full menu comprising grills, its energising Breakfast menu, and an array of quick and tasty sandwiches that are not only light on one’s diet but also on one’s wallet, as well as healthy snacks such as wraps, salads and juice drinks, and even delicious smoothies throughout the day. Pioneered by Duaine Peiris who himself has a weight-loss journey that can inspire even the strongest sceptic, Calorie Counter has over the years grown exponentially even venturing out to open franchises in Male and Kuwait. “Calorie Counter is not just any other restaurant chain. We want to classify ourselves as a place that helps people transform their lifestyle. We want people to realise like I did that healthy eating doesn’t have to be bland and boring. In actuality it can be a lot of fun. This is why we constantly create new recipes using only the best and healthiest ingredients. We are definitely happy to be back at where it all started and we know people in the area missed us!” said Founder Duaine Peiris. The Colombo 5 Outlet is a joint venture with a veteran in the hospitality trade Sandesh Sharma, and the owners believe that this partnership will be a new beginning in the ever growing restaurant chain. Sri Lanka’s pioneering healthy eateries Calorie Counter by Duaine Peiris as its tagline suggests is truly teaching people how to “Eat Healthy, Stay Healthy”. To learn more visit their website www.caloriecounter.lk or call 0112 580980.